Ashley Young is expected to remain a Manchester United player at least until the summer of 2019 after the club triggered a 12-month extension on his current £130k a week deal. The 32-year-old England international has established himself as first choice left back at the club, which has seen the club trigger that option in his current deal so as not to lose him on a free transfer. The former Aston Villa man has dislodged the likes of Daley Blind, Luke Shaw and Matteo Darmian despite not being a natural fit for that position. A number of clubs have been willing to take the player, but his immediate furtive lies at Old Trafford rather than elsewhere. Young, who battled with injuries towards the end of last season has put himself in the thoughts of his manager with a series of assured displays at left back, and has been recognised by the national team selectors due to his resurgence in form. Young was called up to the Three Lions squad for the friendlies against Germany and Brazil, making if the first time he has been called up in four years. Originally a singer, he has been converted into a defender by Louis Van Gaal and Mourinho who have better players in his favored position, but know he can do a decent job at left back due to his experience as a winger and determination on the pitch. The 31-time called England international is likely to be rested for tomorrow’s Champions League clash away at Basel as manager, Jose Mourinho looks to rest a number of key players ahead of what promises to be a hectic festive schedule. Young has looked dependable in the left back department, not overly exciting and will fancy his chances of fighting for that place with returning Argentine, Marcos Rojo who is back from a knee injury after a 7-month layoff. 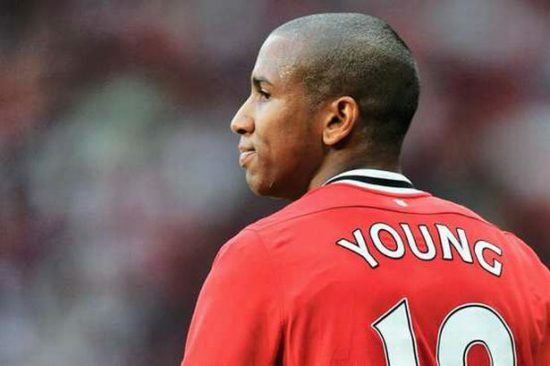 Young is primarily a winger that can play as a full back. He is known for his crossing, dribbling and in trademark fashion, the ability to bend the ball into the far corner. He has made 10 appearances this season already. By triggering an extension on his current deal, it serves both parties well as he is a committed player that can still give his all for at least two more years.